If you've been paying attention to the fashion trends out there, you may have noticed an odd pattern popping up lately: tentacles are everywhere! From squid shirts to octopus skirts, tentacle rings and necklaces, these strange cephalopods are all over. Check out this article to learn about this graphic influence and find out what's up under the sea. Let's start by examining the tentacle itself. It's an interesting, graphic image that can be simplified, sometimes down to just a few lines and circles. They also have a fluid nature to them, though, as tentacles have no bones- this means they can easily wrap around items, and so they lend themselves well to items like tentacle bracelets. There has been a resurgence lately of organic themes and materials in fashion design, such as stone and feathers, so it may not be so unusual to see tentacles in fashion either. Next up, we'll examine the octopus. Completely boneless, they can fit through any space they can fit their eyeball into, making them flexible and adaptible. They are also exceptionally smart, proving this time and again in aquariums by opening multiple containers to get to food and frequently staging Houdini-type escapes. More interestingly, they have a complex symbolism attached to them and have some strange attributes- something that people may not think of, at least not conciously, but that may help to explain some of their allure. 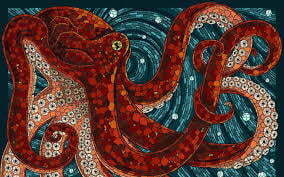 The octopus symbolizes curiosity, intelligence, and complexity, and is even featured in the Hawaiian creation myth as a sole survivor of an earlier world. 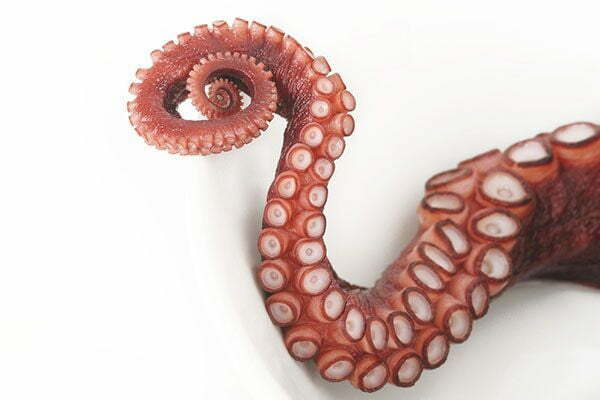 The octopus is also in posession of several physical adaptations that are symbolic- the first is that if there is an injury or physical threat, they can remove one of their arms (which will grow back later), allowing it to escape a tricky situation by letting go of something small, saving the whole. This is an idea that can benefit many of us in our daily lives. 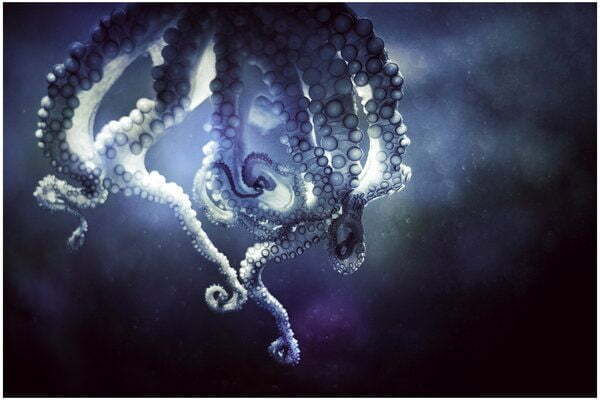 Octopi can also release a cloud of ink when threatened, hiding themselves from danger and enacting an escape, even in wide-open spaces where escape seems unlikely. This, again, is an interesting idea that may hold appeal for people. But that's digging pretty deep- what else lurks behind the trend. H.P. Lovecraft was a horror writer in the early 20th century who specialized in otherworldly, visceral terror. His most well-known creation, Cthulhu, is a cosmic entity- an old god, if you will- worshipped by cultists, and appeared as a mix between a giant octopus head, was hundreds of meters tall, and who sported massive claws on its arms, legs, and wings. His realm was deep below the Pacific ocean, and is the High Priest of the Great Old Ones, the pantheon of alien beings that ruled this planet before humanity reigned. Legend says these Old Ones will one day return, causing widespready madness and mindless, unspeakable violence before finally being the downfall of all mankind. 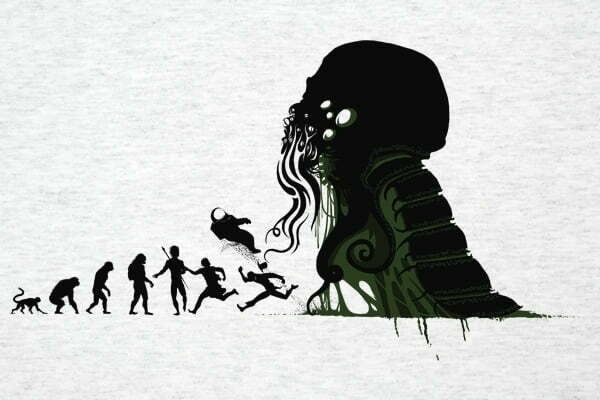 Cthulhu, then, is a harbinger of great misfortune- and therefore an interesting counterculture icon. These days, Cthulhu spends his time spreading the bad word on Cthulhu shirts and other clothing, waiting for the end of the world. There is also a huge sea monster that has been plaguing mankind since at least the 12th century (according to Norwegian lore) and who has also seen a recent resurgence in public notoriety- the Kraken. The huge tentacled beast has been attacking ships for centuries, and was even documented as a real creature in the Systema Natura in 1735. 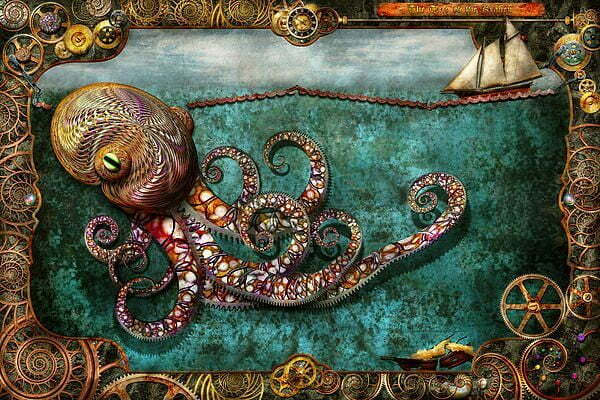 The Kraken is depicted as a massive squid, with arms big enough to wrap around an entire ship, pulling it down to the depths and drowning or consuming the entire crew. While those fantastical stories may simply be legends, there is an actual creature that may have inspired it- the giant squid. This myserious creature lives so far beneath the waves that we know almost nothing about it- but dead ones do wash ashore from time to time, and the largest found so far weighed 1,091 pounds and was more than 15 feet long. If the ones we've found are that size, it's easy to see how it could have inspired a monster. The Kraken seems to have tired of eating sailors, however (except for Hollywood), and can be seen on Kraken clothing and accessories. After reading these unusual and interesting insights into what seems to simply be a graphic choice, we hope that you'll bear some of these cool ideas in mind the next time you buy yourself a tentacle accessory or octopus purse! If you need a little inspiration, browse our special collection of tentacle clothing and accessories here.